I’d like to start off my series of posts about the Shai Hair team by telling you about the amazing talents of Adrian Stankiewicz. A stylist since 2003 and Aveda specialist since 2008, he has been a part of the Shai Hair team in Clerkenwell since we opened last year, and he soon went on to win the 2015 UK Fashionista Award for us. His mantra is that ‘life is precious and should be enjoyed with a stunning head of hair’. Adrian’s award-winning artistry with hair, his philosophy and approach to his clients is second to none and we have been inundated with requests for his talents. Yesterday I actually managed to pin him down with bribes of a free beer to get the lowdown on him, because it’s something I want to share with all our lovely guests and fans of his work. Q. 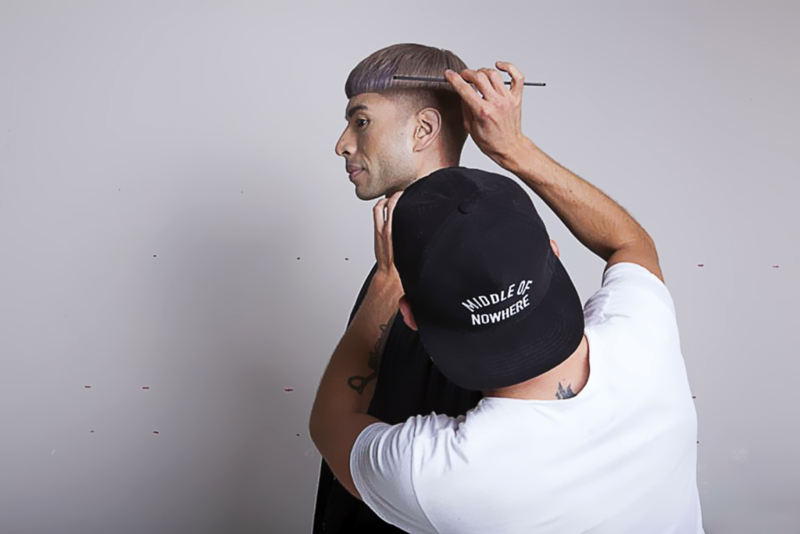 What first motivated you to get into hairdressing? A. I always had a passion for styling, ever since I was a young boy in Poland! I grew up touching, playing and doing hair creations on all my family and friends whenever I could. It was all I ever wanted to do and I feel very fortunate that it has become my profession. Q. What do you love the most about hairdressing? A. I love the creativity side of it. It gives me so many opportunities to develop ideas and apply my skills every day. Also thanks to hairdressing I spend all day meeting people and making them feel amazing, which is the thing I enjoy the most. There’s also no shortage of events within the hairdressing, industry so it’s great for socialising! A. Amazing results and satisfied clients is what inspires me to keep on challenging myself every day. Seeing their genuine smiles and the brightness in their eyes after I’ve created their new look is what keeps me motivated. I’m also really passionate about colour: I seek inspiration in everything I see around me – the sands of the Sahara, a grey London day, a favourite item of clothing or a vibrant Thai food market. Q. How did it feel winning the 2015 UK Fashionista Award? A. Winning the award was like a pure injection of adrenalin! It’s so motivating to get this recognition of my commitment to the job and is a great opportunity to discover new things and keep learning and developing myself. My clientele has grown and I haven’t stopped since then!! I’m very proud of all the doors the UK Fashionista Award has opened to me. Q. As a colour specialist, what advice would you give to customers about getting their hair professionally coloured? Have a gloss in between your colour services to retain that perfect colour for longer. I also recommend having a protein treatment to really strengthen your hair – this is especially important for coloured hair. At home use the Aveda range of shampoos and conditioners and invest in a moisturising treatment to keep your hair looking and feeling fabulous! Always listen to your stylist! Q. What are your hair style and colour predictions for 2016? A. I terms of hair styles, bobs are back in a strong way. In terms of colour, baby highlights are in with gorgeous pastel tones such as vanilla and lavender. I personally will also be doing lots of bold reds and coppers this year. To book an appointment with Adrian call 020 7374 6141 or email enquiries@shaihairandbeauty.com.